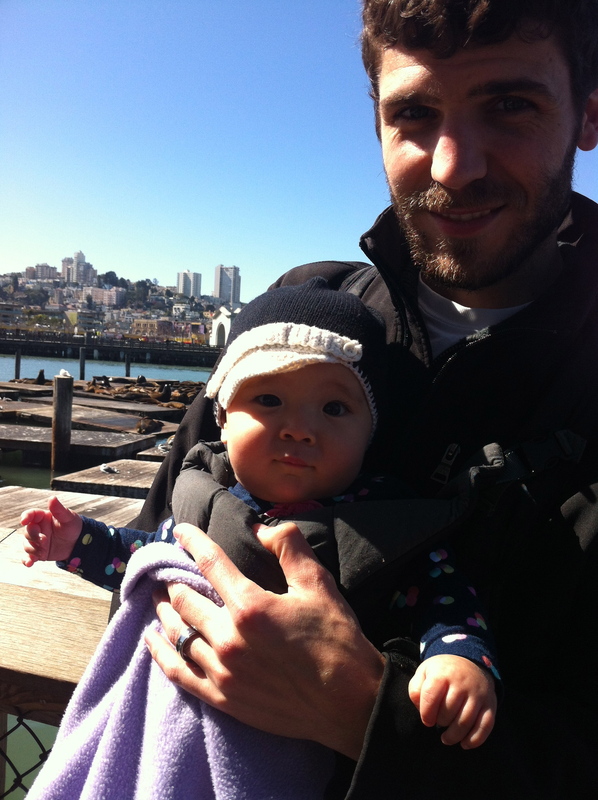 Last weekend we decided to go into the city and show Nola the sea lions at Pier 39. 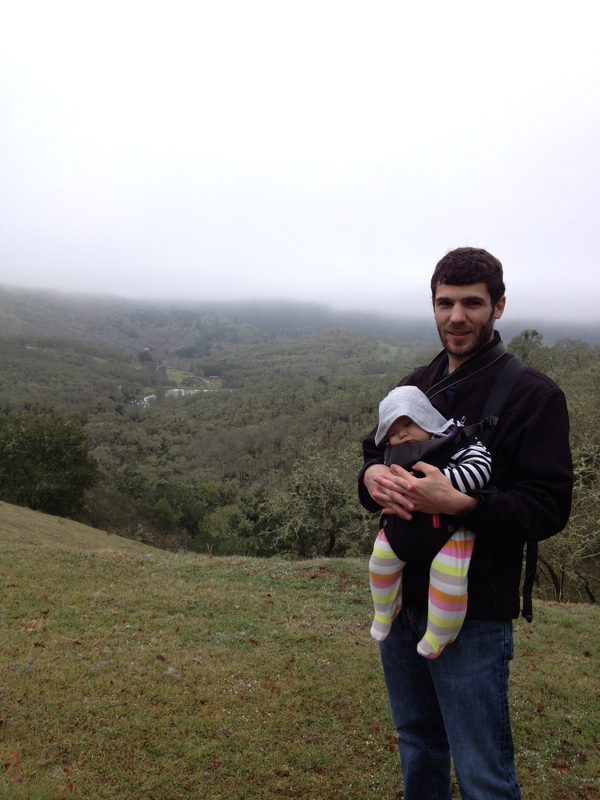 We often have this misconception that trekking into the city is too much with a baby. But we were pleasantly surprised to see that it wasn’t bad with parking and Nola rocked it. In fact it went so well we hope to make this a regular activity. We parked near the Bay Bridge and walked to Pier 39, which there and back is a nice 4 mile walk. On our way to Pier 39 we also hit up the Ferry Building. The Ferry Building has an awesome farmer’s market on Saturday’s and inside they have the greatest shops and restaurants. This place has this energy filled with people getting excited about food and I really love that. The Ferry Building is probably one of my most favorite places. 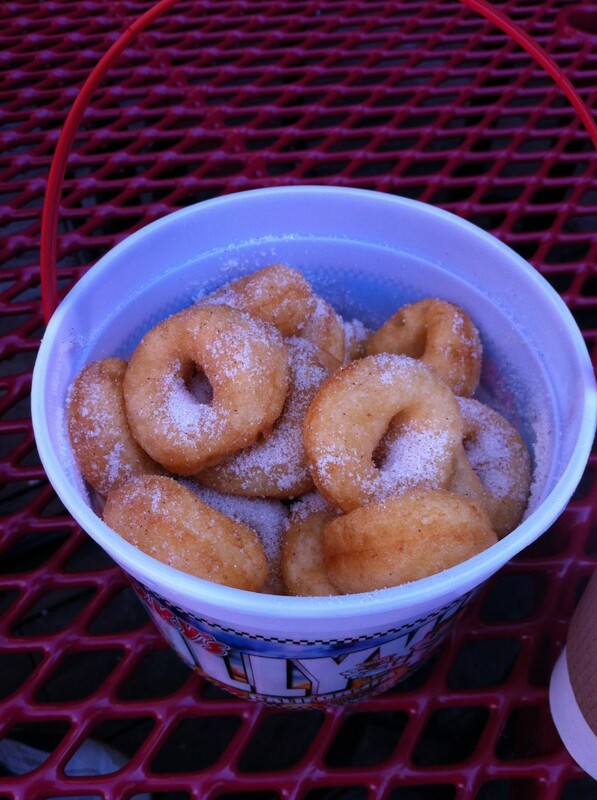 Once we got to Pier 39 we got donuts from Trish’s Mini Donuts, and they were warm and delicious and melt in your mouth. I warn you, however, that the bucket of 32 mini donuts is too much for 2 people and resulted in a not so good rest of the day for me, with food sadly I have no self control. 🙁 Regardless we had a great day and the bucket is now Nola’s favorite new toy. 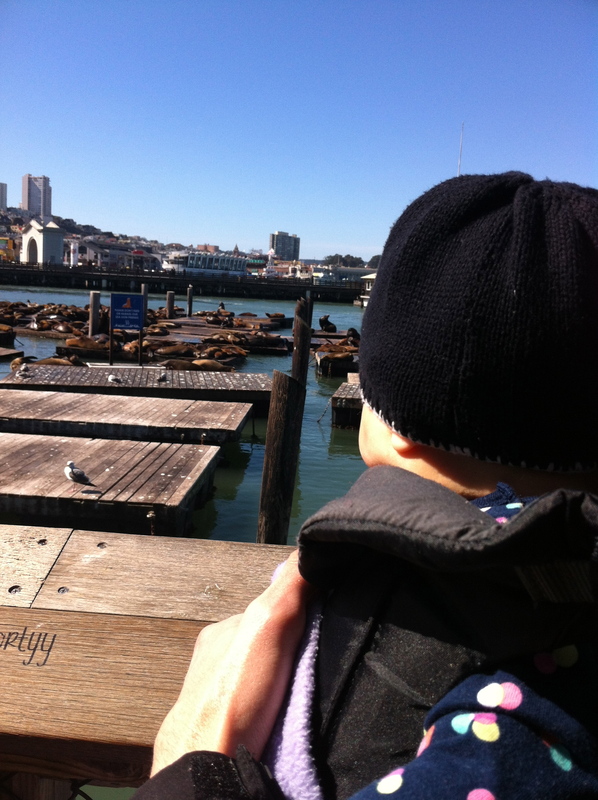 nola checking out the sea lions! Recently our little family took a much needed weekend trip. 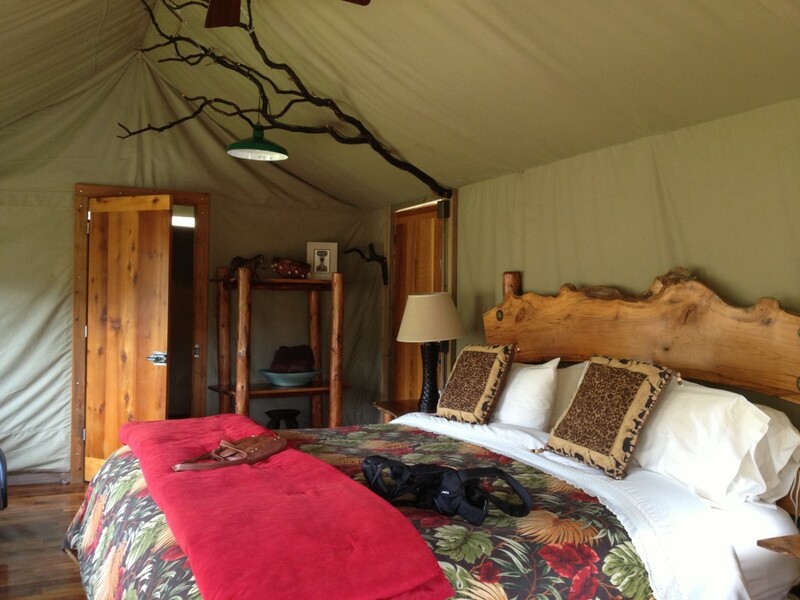 After doing some research I came across this place called Safari West that has wild animals and you can sleep in tents. Now I know that many of our family and friends are campers and we think all of you are awesome, but after our last camping experience we realized we like the finer things in life and all that really means is a bed. So when I told CJ we were camping he surprisingly seemed to be fine with it. I’m not quite sure if it’s because he wasn’t really listening to me or just going with the flow, he’s good at both of those things :). 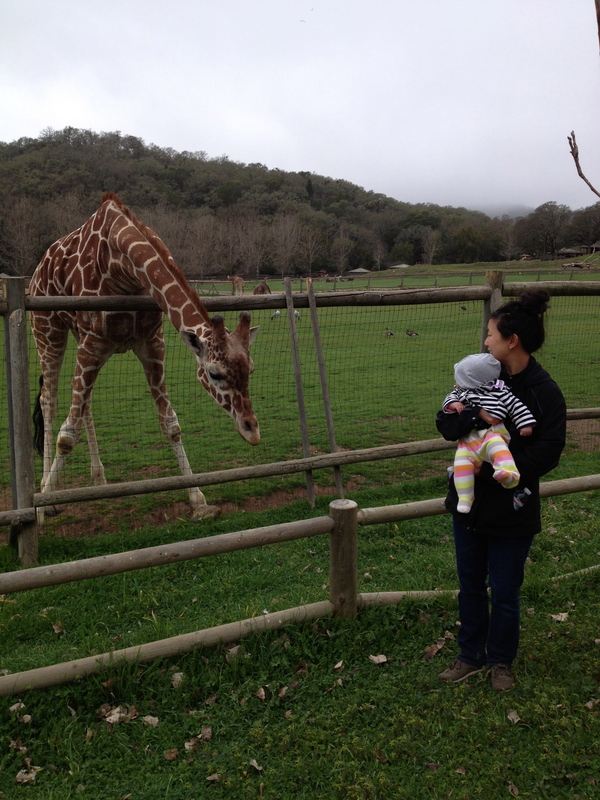 Since Safari West is in wine country we decided to hit up a winery beforehand. 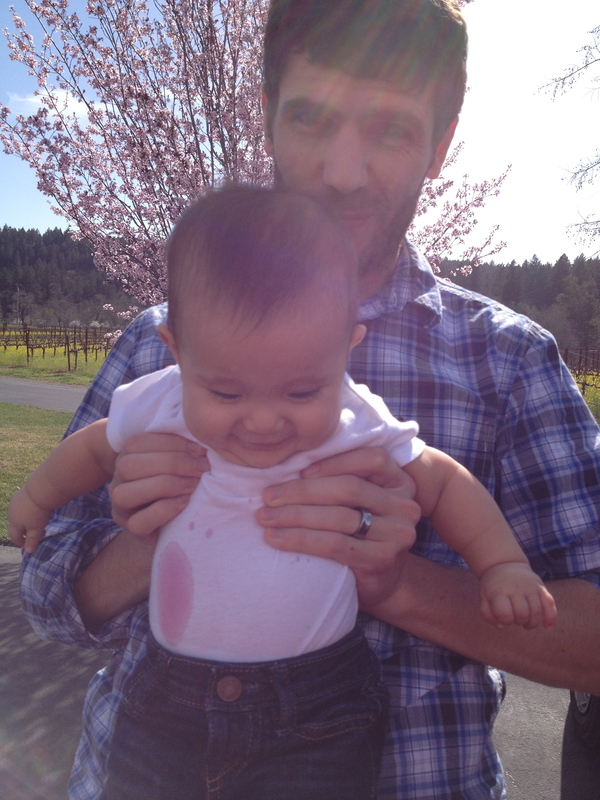 CJ and I love love wine country and been there a handful of times. After visiting a lot of the bigger wineries we are starting to visit smaller family owned one’s and loving them a lot! We went to Vincent Arroyo Winery and got a private tasting and small tour of the winery. Our tour guide was charismatic and a lot of fun to talk to and it started our little getaway on the right foot. We also left with a delicious bottle of port. Next we ate at a Calistoga and hit up a candy store to find chocolate to go with our Port for later that evening. While scooping things out I saw these handmade popsicles and anything handmade I’m a sucker for these days. 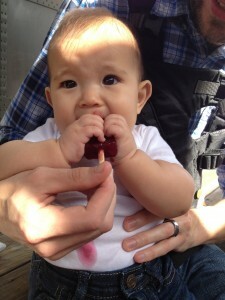 They also had mini popsicles and after reading the ingredients I naively thought Nola should get one too. It was such a mess and the popsicle was a deep purple color. I should tell you I have a pet peeve for dirty fingers, etc. and having a baby is teaching me to let go. Coincidentally we realized afterwards the popsicle that got all over Nola also looked like wine and being in wine country…well that made us feel a little unsettled. 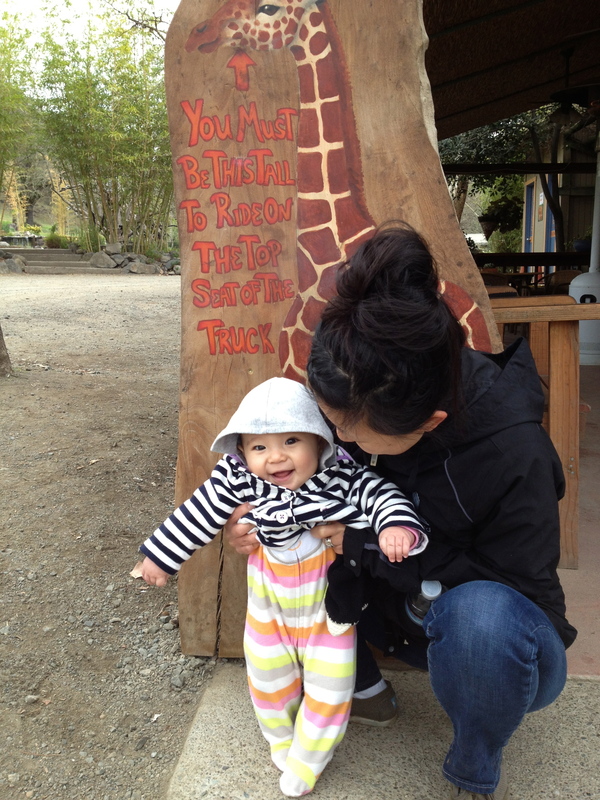 Now CJ still wasn’t quite sure what to expect when getting to Safari West, but soon found out that our tent was far from the standard camping experience. I was going to let him sweat it out until he saw the place :). People, if we ever go camping this is the way to go! 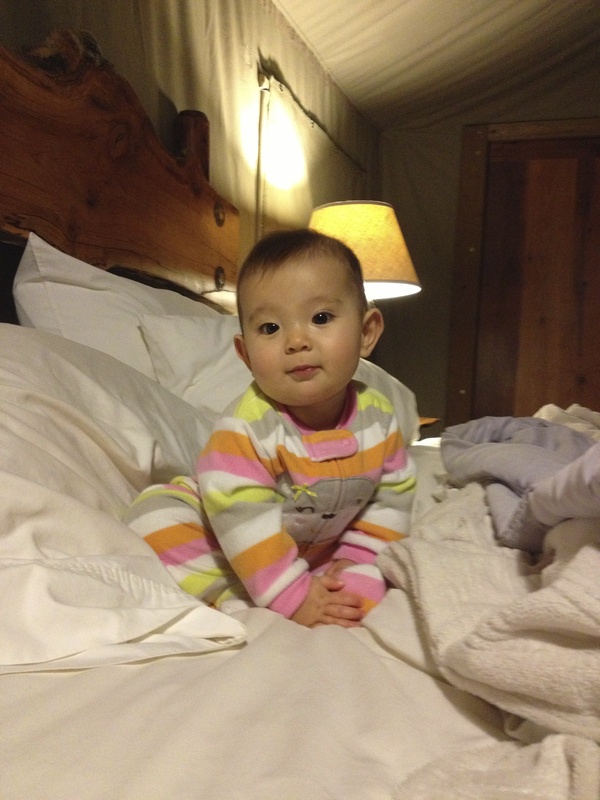 It was pretty much a hotel room w/ tent walls. 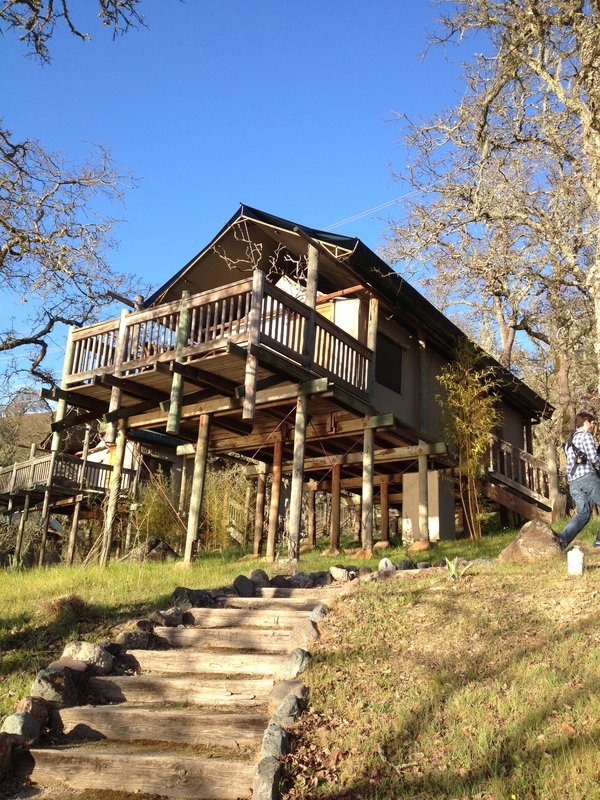 They had a space heater, the most comfortable bed, along with a full bathroom, it was lovely!! We took a family nap where we got this beautiful breeze, we could hear the animals and it really was a moment where I wanted to freeze in time. The next day we got to go on a guided hike around the grounds and to see more of the animals and the beautiful countryside. 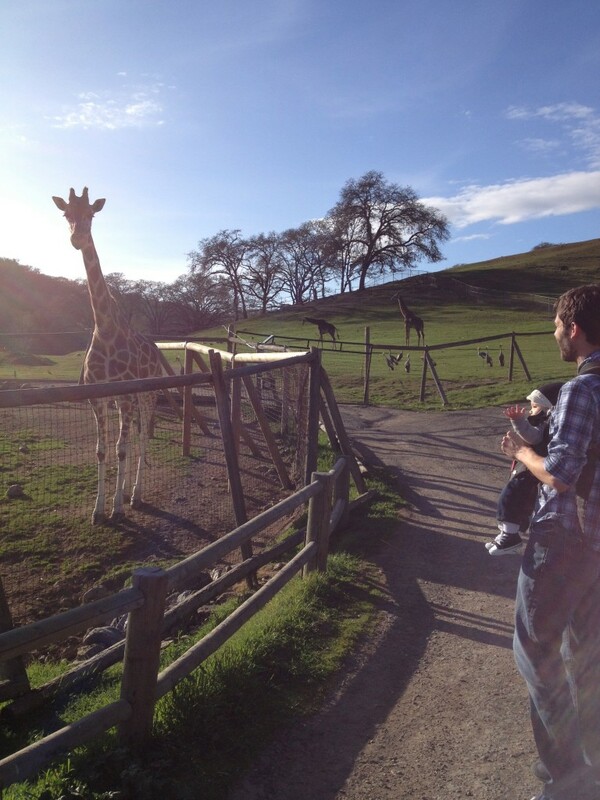 Safari West also gives jeep tours, but they don’t recommend children under 4 years, so we will need to wait a bit to do that. But if you do have kids who are older I think it would be an amazing experience. 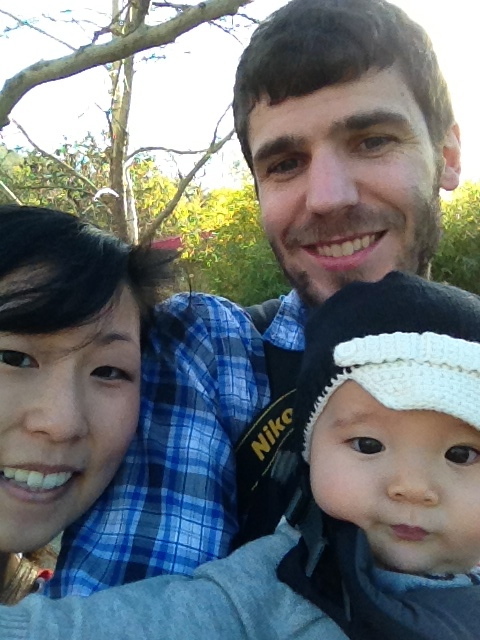 I wish we could teletransport our nephew and niece because we know they would love it! Overall this was an awesome short little trip and we made a lot of special memories! Goodness I love my family so!